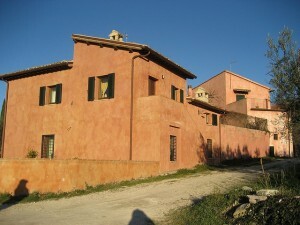 The Trampetti farm, located in the centre of Italy in the province of Umbria near the historic city of Foligno, comprises 30 hectares (63 acres) of olive groves and wheat fields. The farm was founded about a hundred years ago by Eugenio Trampetti when he began cultivating various strips of land in the prized hills between Assisi and Spoleto, including the cultivation of parcels in Trevi. For a century Trampetti’s small size and valued locations for growing olive trees have favoured the production of exceptional quality oil. Nonetheless, the new generations of the Trampetti family are continuously taking the quality of Trampetti Extra Virgin Olive Oil to higher levels, constantly improving traditional agricultural practices. 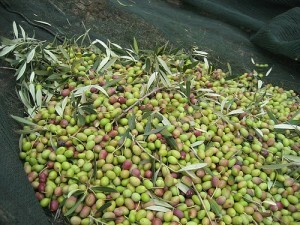 Three types of olive varieties, the moraiolo (80/90 %), frantoio and leccino yielded 10 tons of oil. 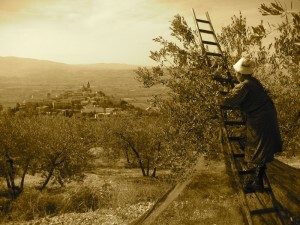 In order to maximize the quality of this oil the olives were first carefully hand-picked then carried to the mill twice a day in small, 20 kg containers. This procedure is aimed at preserving freshness and minimizing bruising and oxidation, the principle enemies of quality and flavour. Just a few hours after being picked the olives were cold-pressed in a traditional granite stone mill. The fresh oil remained unfiltered at cool temperatures in stainless steel tanks, and was clarified simply by being decanted from one tank to another. The resulting quality of the harvest 2001 is immediately evident. Our extra virgin olive oil is green in colour and shows a vibrant, lively flavour, due in part to the fruitiness of the olives handled in such a way as to maximize flavour and minimize oxidation, but also to the peppery, slightly grassy organoleptic qualities of the local moraiolo olive. Copyright © 2019 Trampetti. Tutti i diritti riservati.